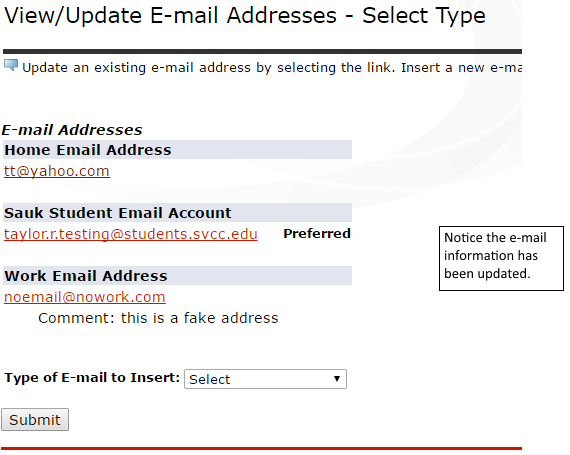 It is important that you keep your email addresses up to date. Instructors use this information to send out course related information. 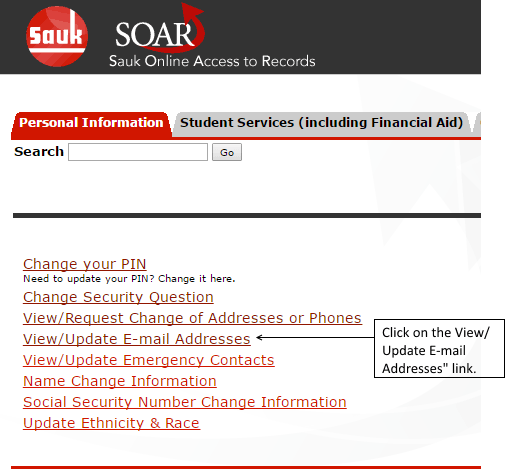 If you are taking an online course, it is EXTREMELY important that you keep this information up to date. 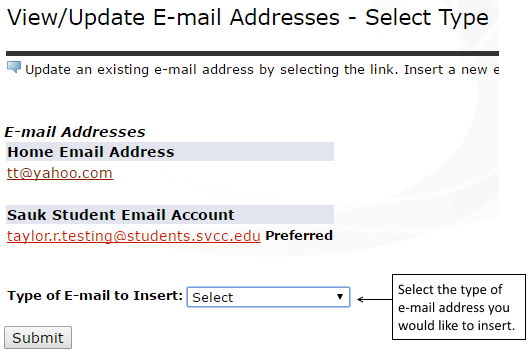 Click an email address you would like to update. 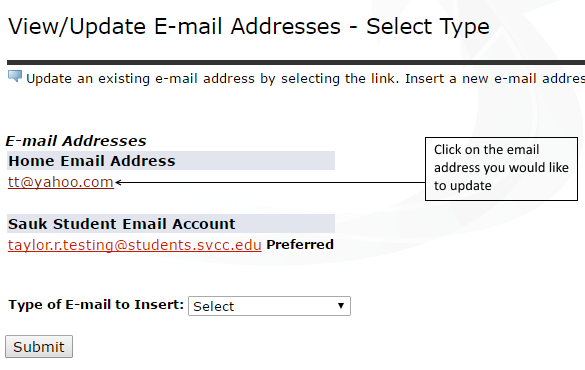 If you would like to insert an email address, please Select the Type of E-mail Address to Insert from the drop down. 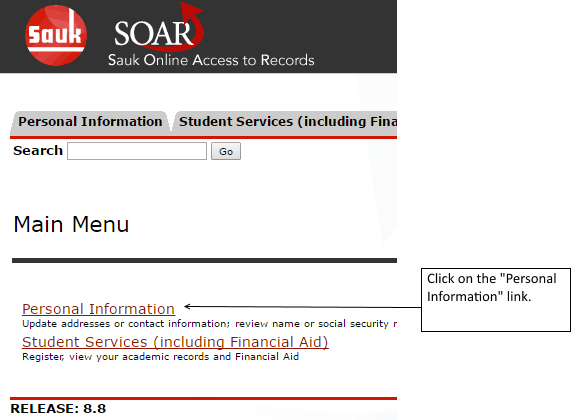 A new screen will appear with your updated information.